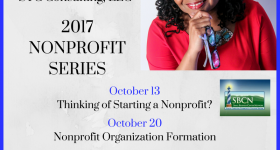 Do I Need Nonprofit Business Plans? I’m often asked about what happens after a nonprofit is formed. Truthfully, that’s all up to you and the Board of Directors. The real work begins after the nonprofit has been approved at the state and federal levels. 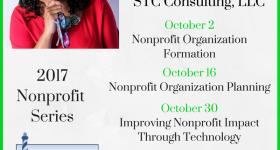 Nonprofit Development Planning is the key to moving the nonprofit forward. Who will get us there, by when, and how much money and other resources will it take? There are two nonprofit business plans that I’ve found to be extremely helpful in moving forward after start-up. Just like a for-profit business, nonprofits benefit from developing written plans of action. The Nonprofit Business Plan identifies the tasks, milestones, goals, potential for success and potential risks ahead. The Nonprofit Strategic Plan utilizes the business plan and answers “how” the desired results will be achieved. Having both plans in place is a great help when seeking funding. Want to know more? 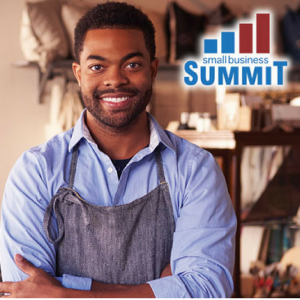 I will share more information in the Nonprofit Development Planning (Existing/Growth track) seminar at the 8th Annual Small Business Summit on January 6, 2017. Register at http://sbc.gtcc.edu/summit.